Psychedelic sequences, bedroom and shower scenes, and, of course, songs all add an extra sparkle to this Elvis comedy. Surrounded by gorgeous girls, there's one girl determined not to have an affair, but 'real' romance Michele Carey plays this kookie heroine who complicates both Presley's business and personal life. 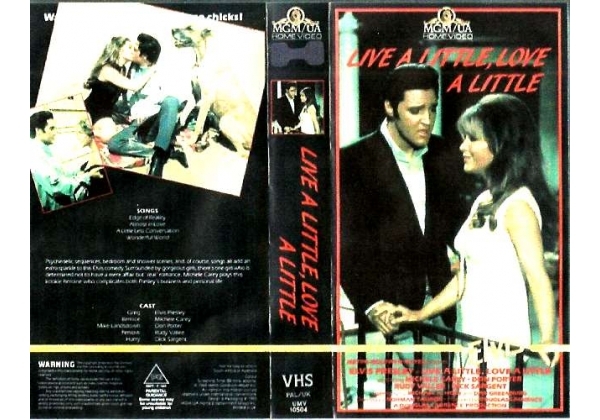 Or find "Live a Little, Love a Little" on VHS and DVD / BluRay at Amazon.